fjørå warmflex Jacket (M) is rated 5.0 out of 5 by 2. The fjørå warmflex Jacket is a warm and flexible jacket made for winter biking. With a wind resistant Power Stretch® front and an open Power Grid fabric in the back, it combines weather protection with good breathability to ensure you are all set for technical challenges also when the temperature drops. The shirt has a chest pocket, light weight hand gaiters , a soft and weather protective neck collar and longer back cut to prevent gaps where the cold can sneak in on you. It has reflective details to increase visibility in the dark. The jacket has an athletic fit. Rated 5 out of 5 by juju64200 from good product very comfortable and meets my expectations. it keeps warm and is breathable. Rated 5 out of 5 by nalexpalex from Great fit for biking I have been testing this product for about a year, this is a very clean and versatile piece that I used mainly for mountain biking but also running, ski touring, and cross-country skiing. I like the athletic fit because there is no excess of fabric disturbing when going fast. The sleeves are very long, which is great for biking as you won't have any skin exposed between your cuff and your gloves (even for me with extra long arms). The reflective details are also a good add-on especially when riding in the traffic. I like the fabric in the back and under the arms that help evacuate moisture in an efficient way, even in the climbs at low speed. How good is the front of the fabric and shedding moisture and mud? The fabric in the front is similar to the. Back but thicker... 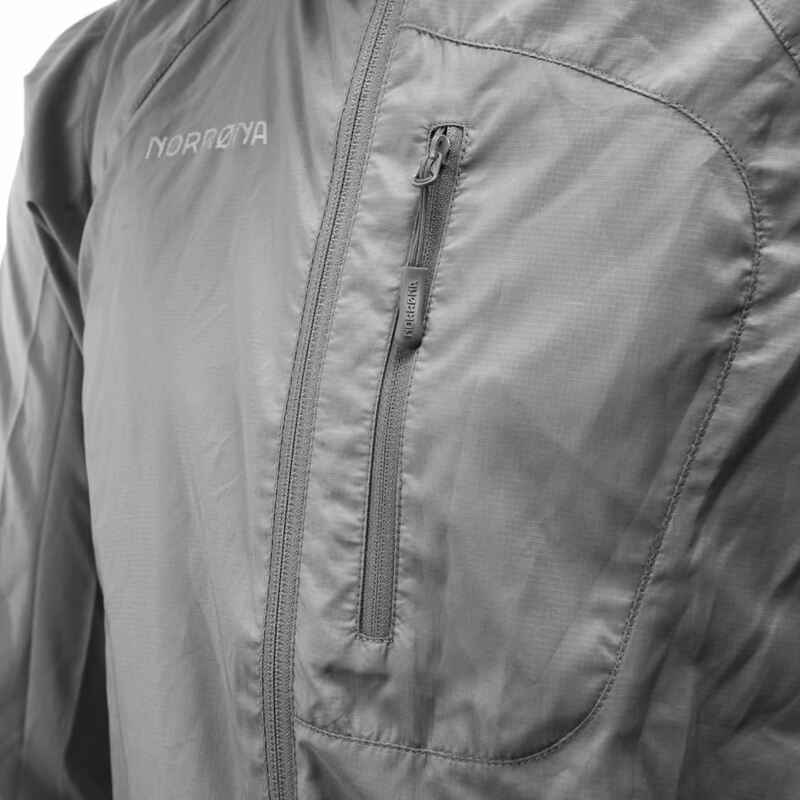 The moisture isn't a problem with this jacket, it breathes really well and keeps. You warm. I have been using it when enduro biking in cold conditions this autumn and also winter in the snow... Been cross-country skiing in it as well... Works great! Can't answer so much about the mud unfortunately but it's really easy to clean.... Have a good one!